Microsoft Forms as an InfoPath Replacement? The answer is clear. Home › Mobility Blog › InfoPath › Are Microsoft Forms an InfoPath Replacement? Like many of our customers, we’ve been tracking Microsoft comments regarding the retirement and replacement of InfoPath since the deprecation of InfoPath was announced in early 2014. When the new Microsoft Forms product was announced last year, the blogosphere started wondering: Is this the replacement for InfoPath? Recently Microsoft announced that Microsoft Forms is now available to Office 365 commercial subscribers. Now Microsoft Forms are no longer limited to education subscribers as they had been in the past. This new move has spurred another round of questioning about InfoPath replacement. 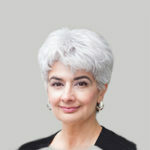 SharePoint blogger and Microsoft MVP Marc Anderson tweeted ‘This is going to confuse a lot of people’. Microsoft Forms appears to compete directly with Google Forms, first and foremost in the education arena. For businesses and enterprises, it is probably best understood as an in-house alternative to products like Survey Monkey. Microsoft has become increasingly clear on the subject of InfoPath replacement. PowerApps and Flow are the successors that Microsoft recommends for some (but not all) InfoPath replacement scenarios. Looking for an InfoPath replacement? 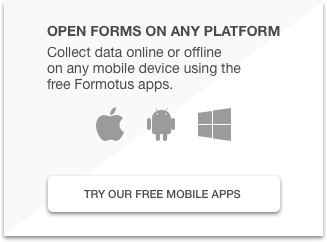 For readers who have investments in InfoPath, and who are looking for a migration path forward, please feel free to open a Formotus Trial account. 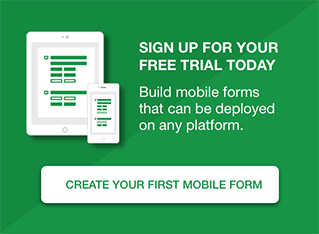 You can build a new form from scratch online, or you can upload and convert your InfoPath form and deploy it to any iOS, Android or Windows 10 device.